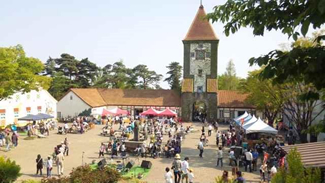 Akagi Kronenberg is a theme park in Maebashi. As the name suggests, the park is a replica of a rural town in Germany. It features a ranch where you can interact with animals, a German restaurant, a barbeque place, etc. You can have a wedding in the park's wooded area, too.